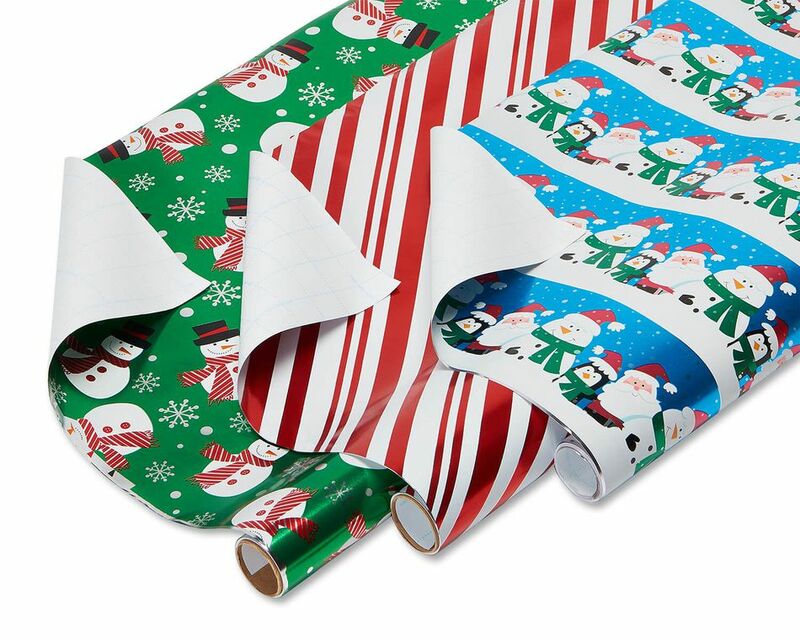 Make the season shine with bright and cheerful holiday wrapping paper! 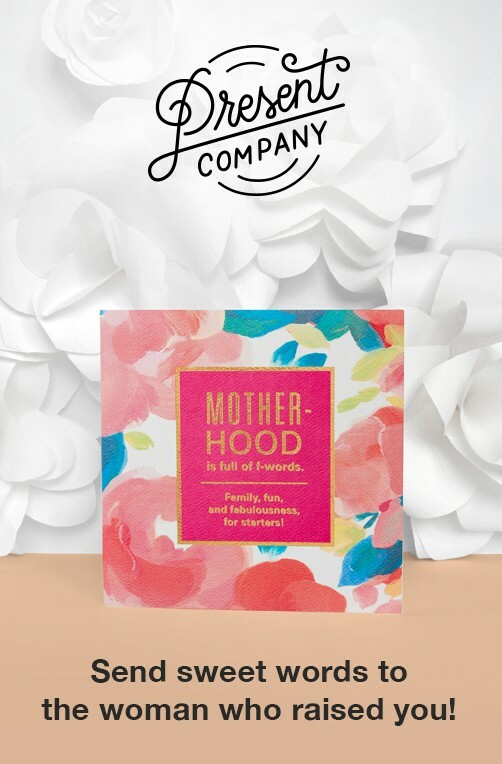 A great value, this convenient package includes three shimmering foil designs for a variety of looks kids and kids at heart will love. 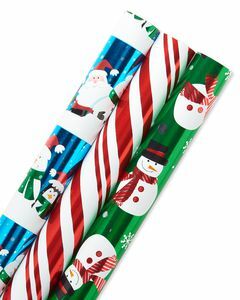 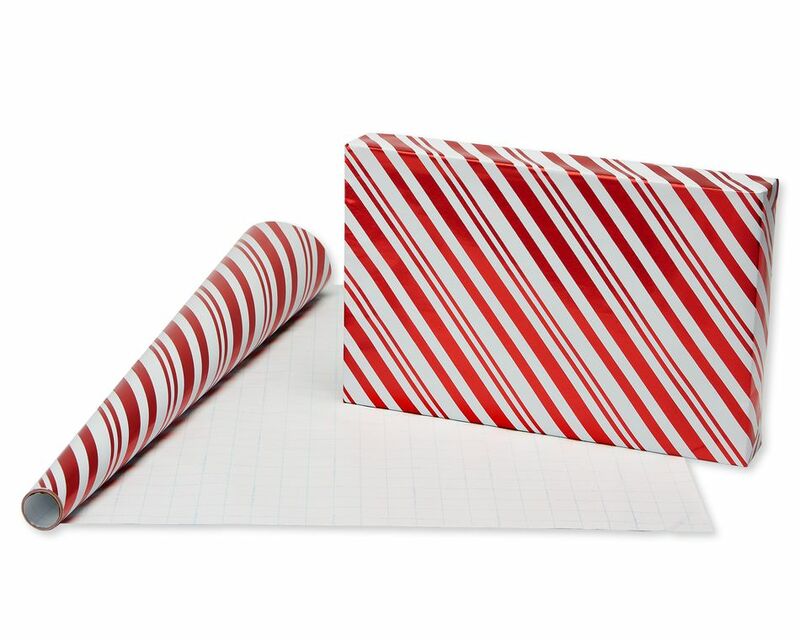 Classic Christmas characters like Santa, snowmen and penguins, and a festive candy cane stripe pattern, will make joyful, colorful presentations with as many as 7 average-sized boxed packages. On the reverse side of each foil print is a gridline pattern so you can cleanly cut and measure the wrap you need, saving time and reducing waste. 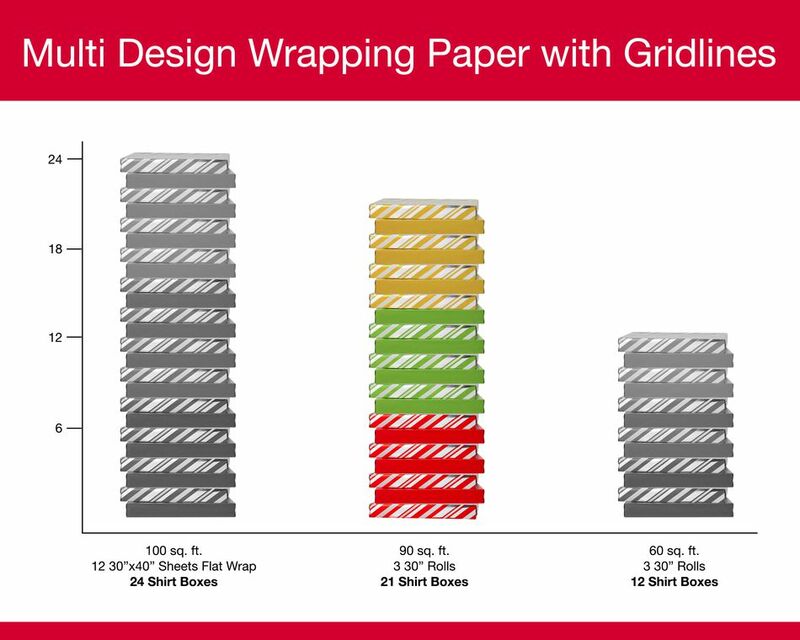 Each standard-size roll features durable paper in a continuous roll (no creases!) 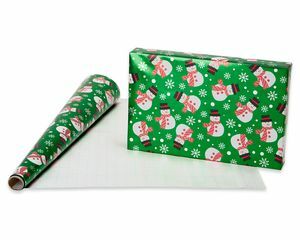 that’s easy to cut, wrap and fold. 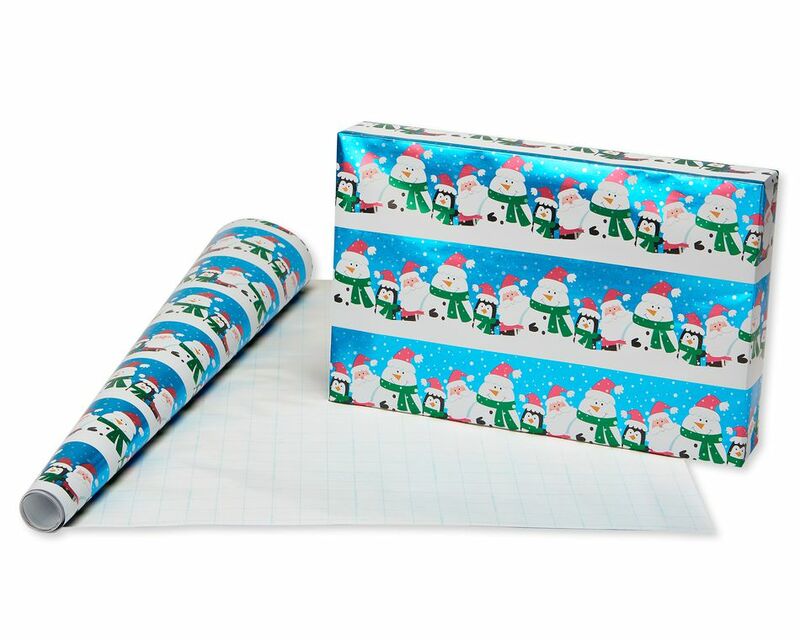 Use the wrapping paper on its own for a clean look or decorate with a gift tag, tissue paper shapes, ribbons and bows (all sold separately). With versatile prints and color palettes, these fun designs are perfect for Christmas, winter birthdays and other seasonal celebrations!